New York YIMBY has given us our first look of developer Bruce Eichner‘s tower planned for 41 East 22nd Street. The 777-foot skyscraper, designed by Kohn Pederson Fox and Goldstein Hill & West, will boast 60 stories hosting 81 residential units. 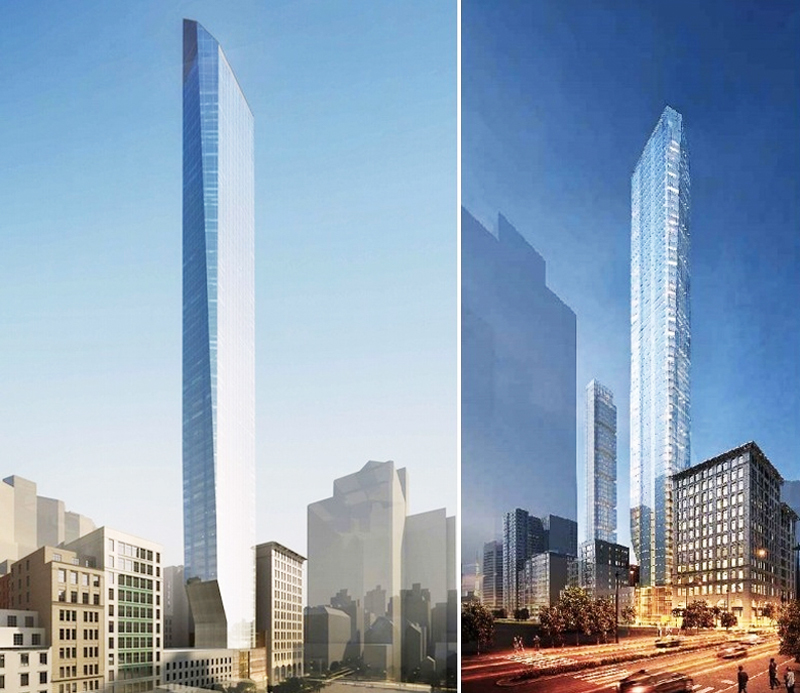 Though the easiest way to characterize the new development is crazy tall (it’s set to trump neighboring One Madison by 150 feet) the architectural team gave the structure a bit of flair by way of a massive cantilever, and a very angular, dynamic crown.